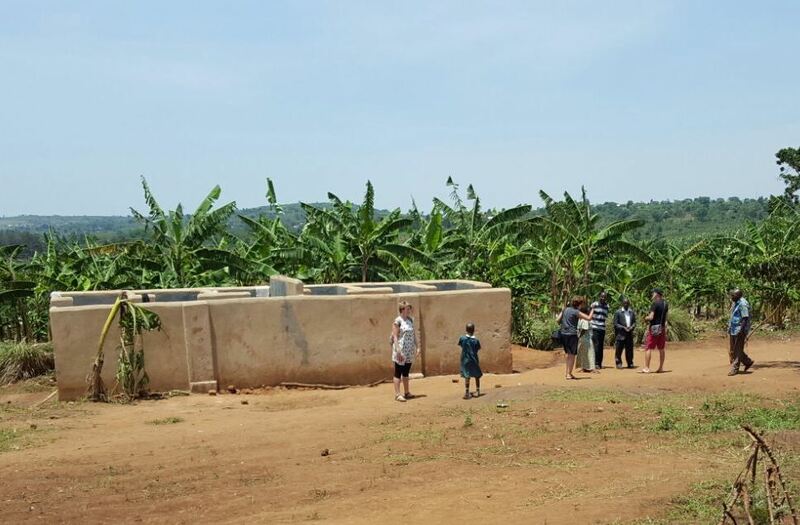 Tendo, Agape and Miracle live in the bush far away in Mateete and attend the Little Stars Junior Academy, a wonderful name for a simple village school in the middle of banana plantations. This school is known to be a very good school, the headmaster and the teachers are enthusiastic, involved and competent. 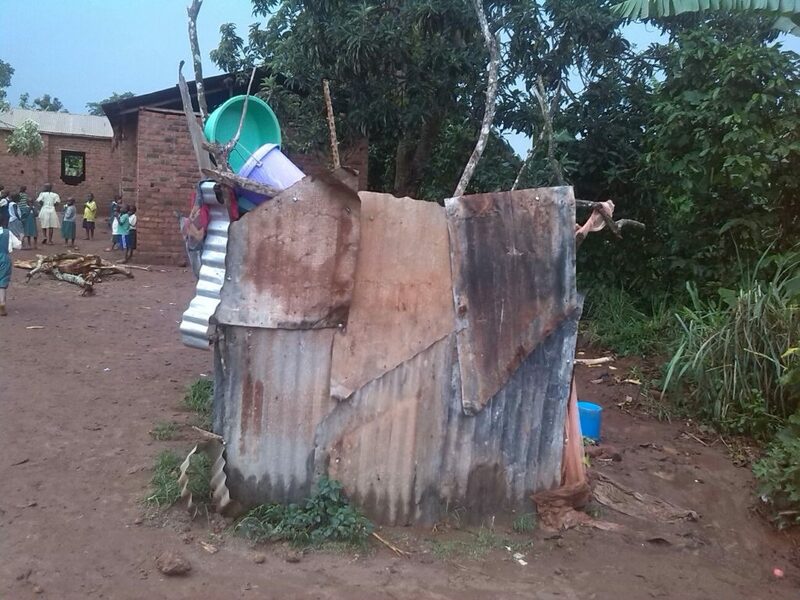 Unfortunately the conditions at this school are very poor. 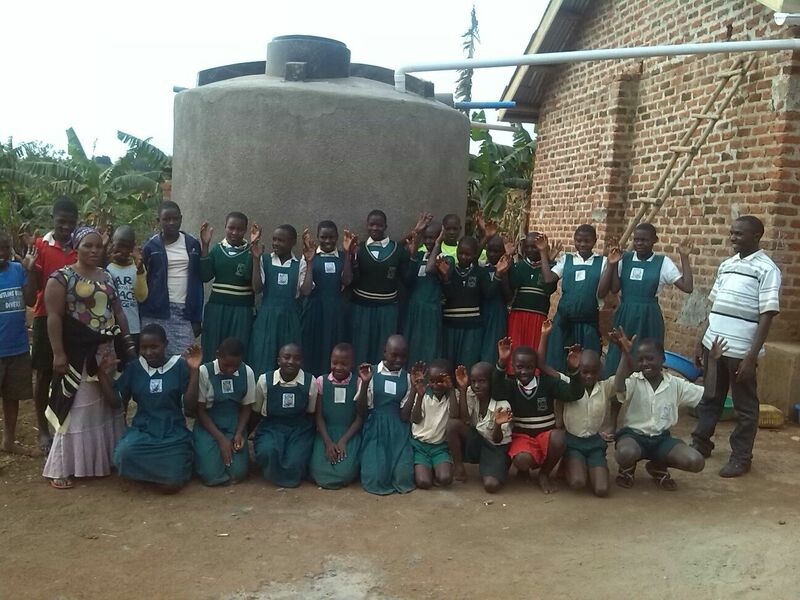 When Arent and Helma visited this school in 2014 they were impressed by the bad conditions in which the students and teachers had to work. There was no school furniture and the students had to attend the classes sitting on the sandy ground and running the risk of being bitten by sandfleas. There were many, many students in each classroom (up to 70!) 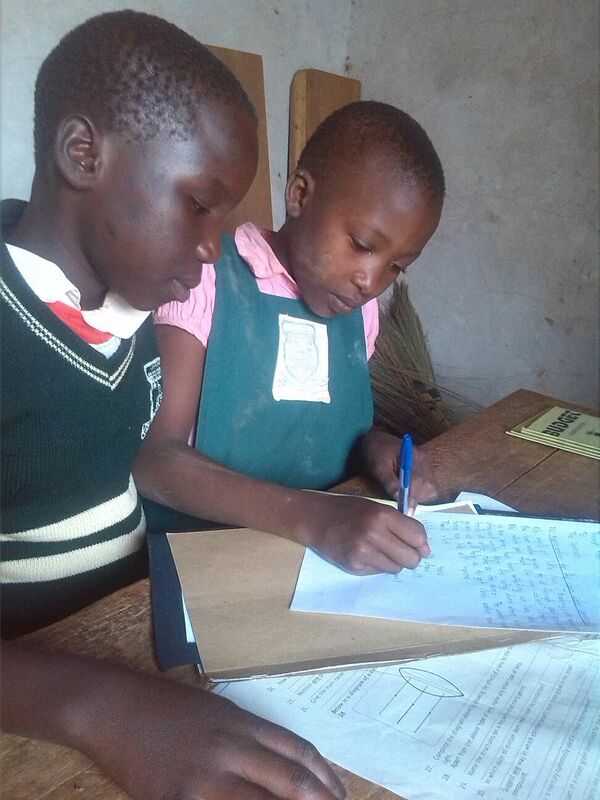 so there was hardly any room left to put their notebooks. 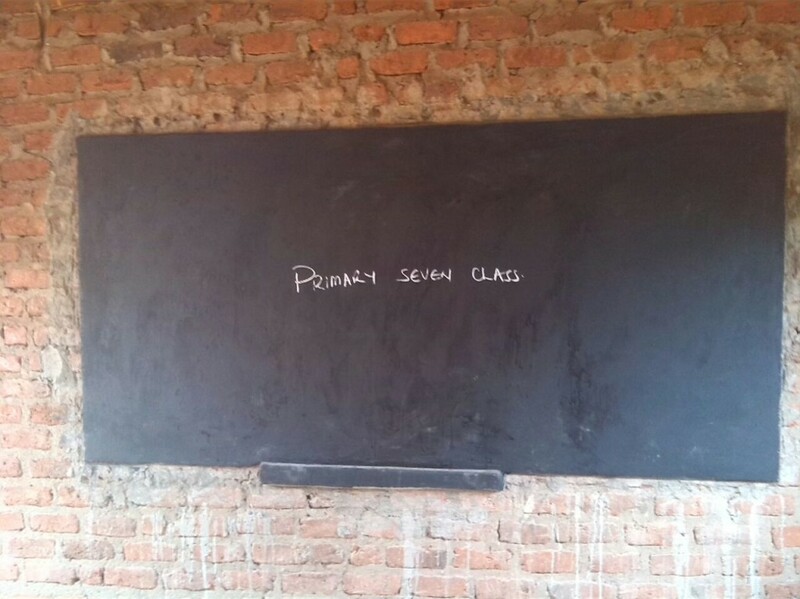 The blackboards in the classrooms were of such bad quality that they could hardly be used. In fact, the teaching conditions were really very bad. The Joanne Foundation has tried to improve the working conditions at this school. 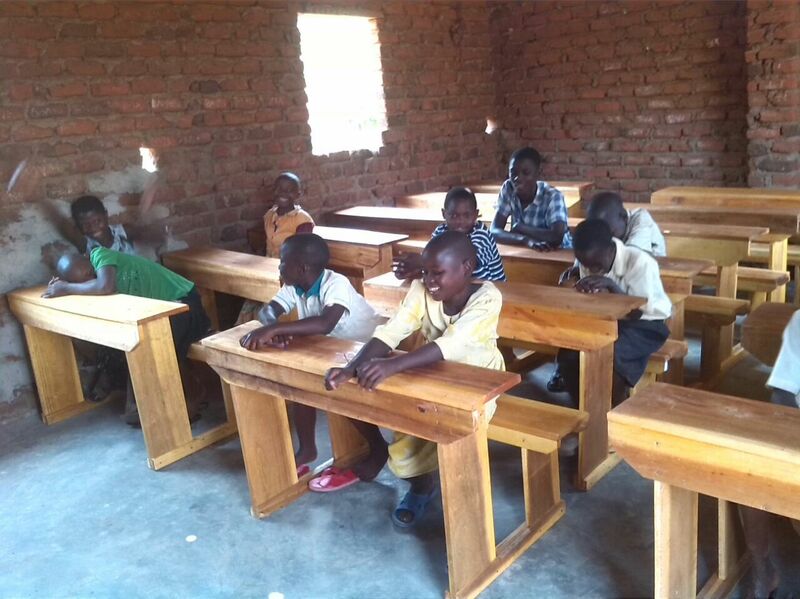 Thanks to our sponsors we were able to have concrete floors poured and blackboards installed in each classroom. 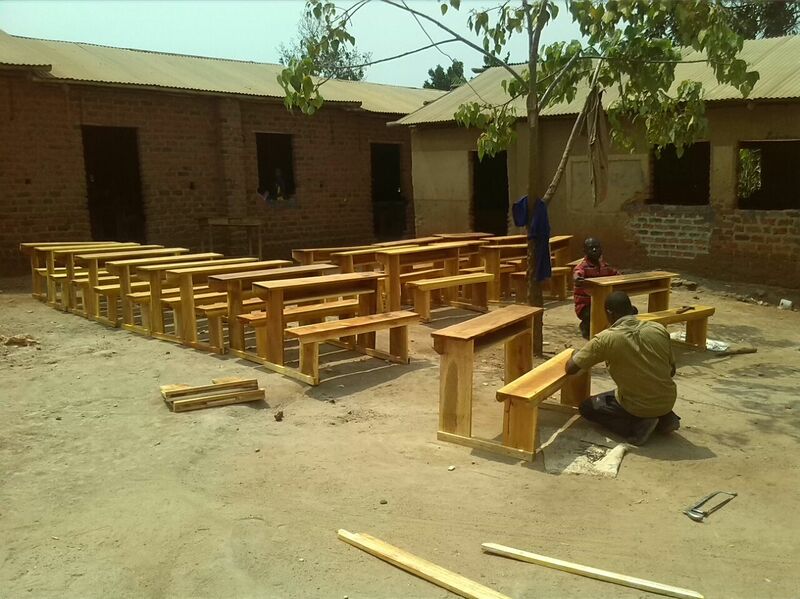 Also 120 schooldesks were made by the local carpenter. 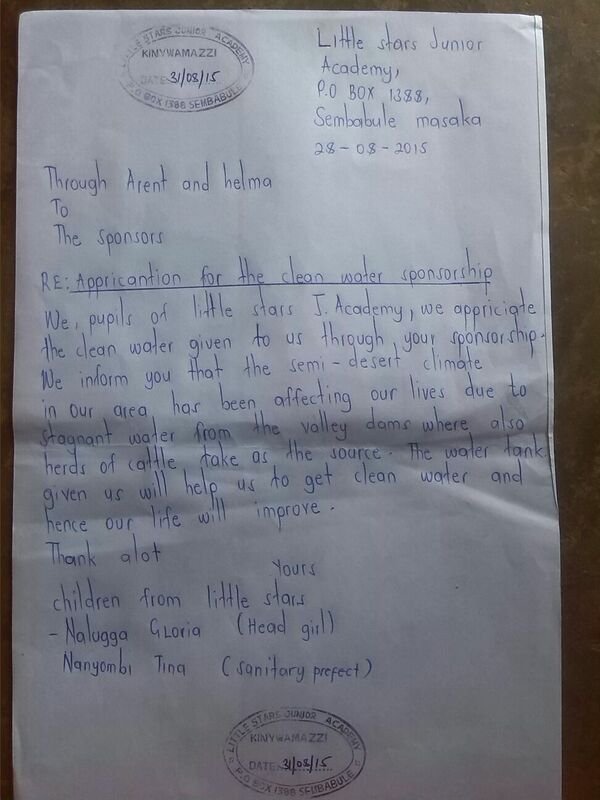 The school did not have its own watersupply. 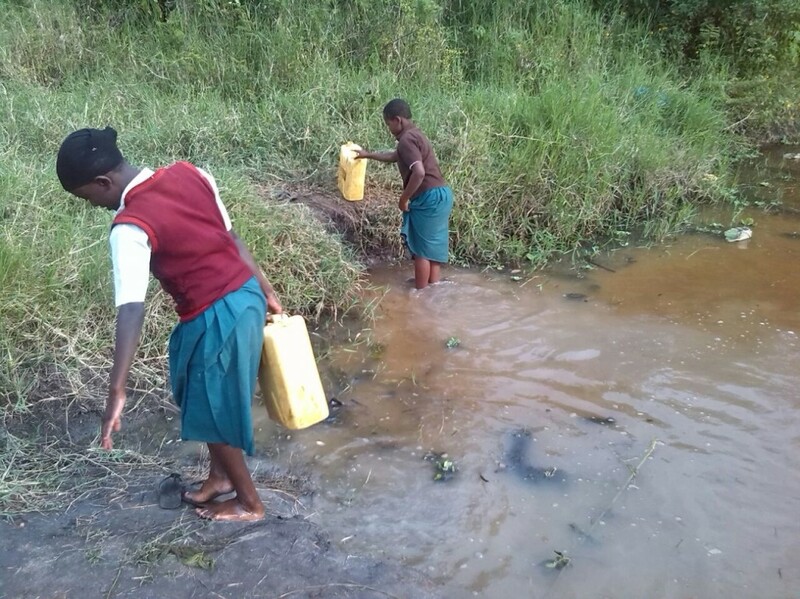 The students had to walk for miles each morning and afternoon to fill their jerrycans in a swamp. A swamp also used by the farmers to water their herds. 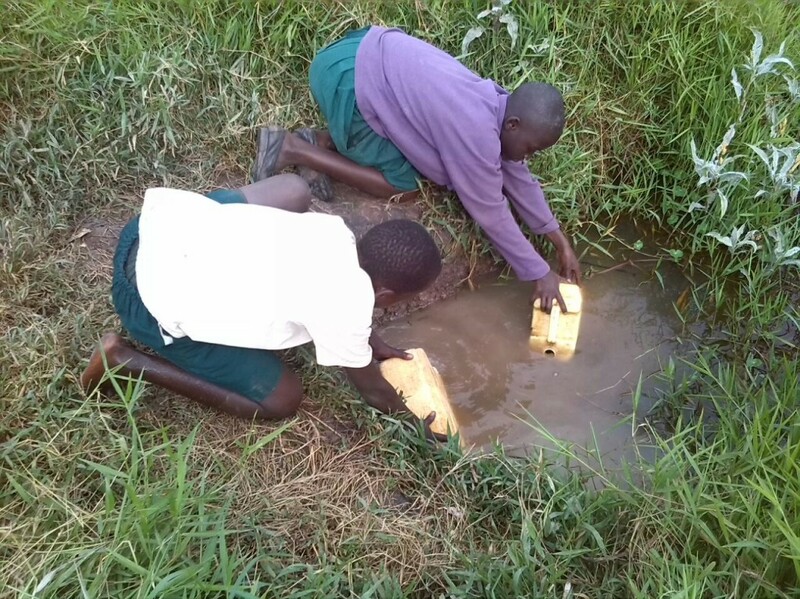 The water was of such poor quality that the students ran the risk of becoming very ill.
That is the reason that the Joanne Foundation, thanks to a wonderful financial gift from MondiAalten, has been able to help this school take care of its own watersupply. 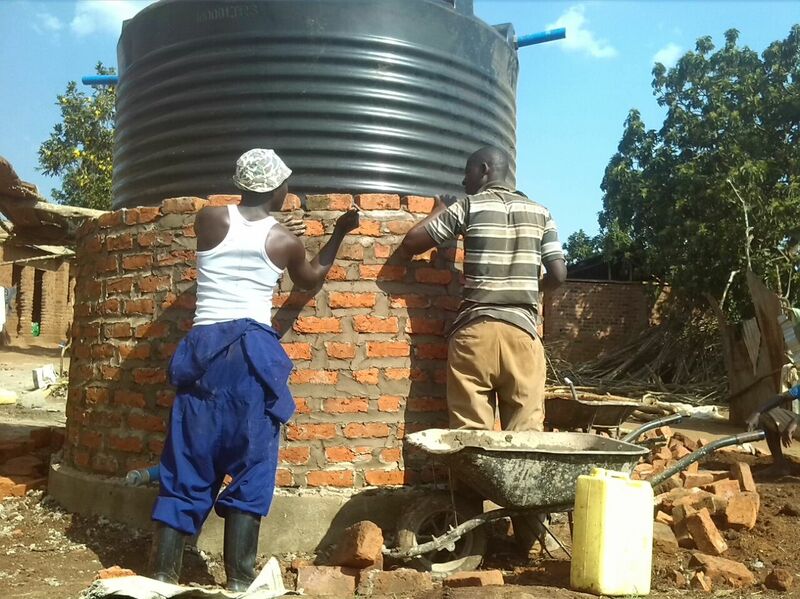 Gutters have been attached to the roof and a 10.000 liter watertank has been installed. 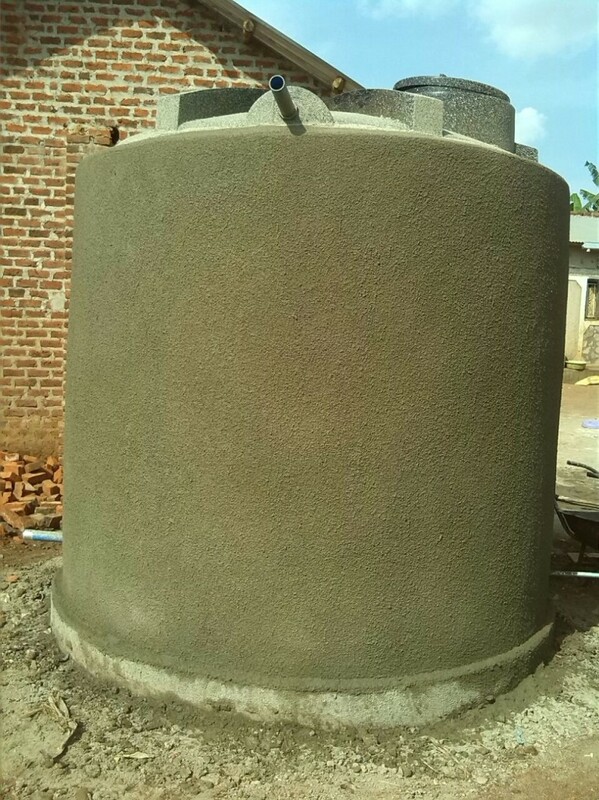 Now the students can use (relatively clean) rainwater. 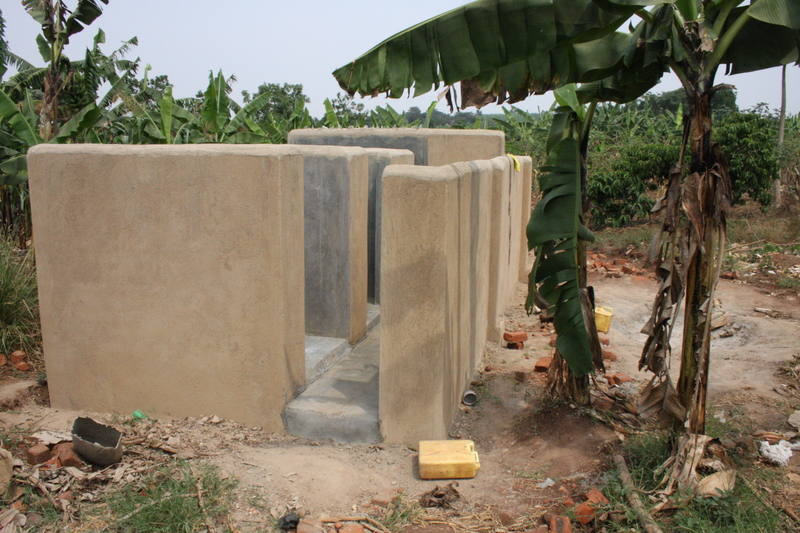 Also the washrooms for the boarding students were in a really bad condition. 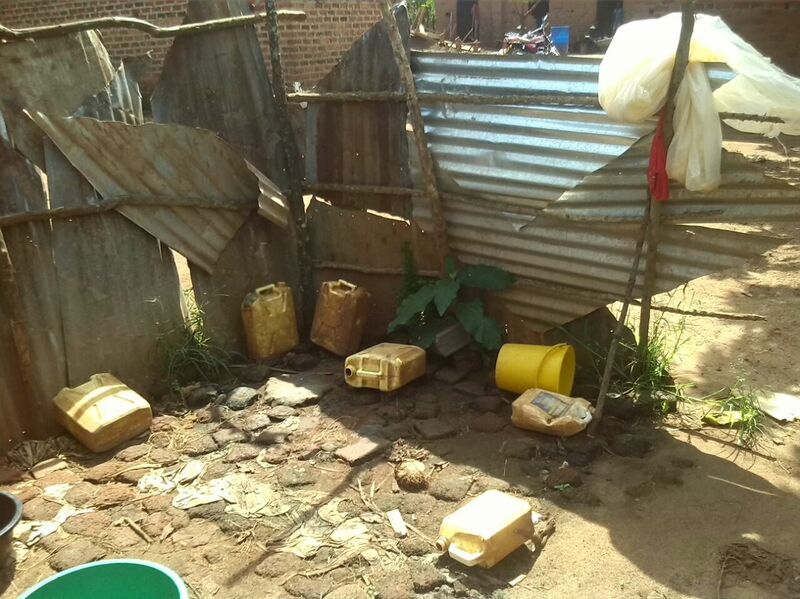 It consisted of a few corrugated sheets and one or two buckets. Thanks to our sponsors we were able to have decent washrooms built.